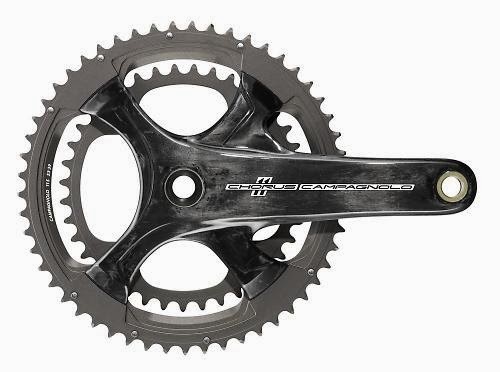 Campagnolo has announced Chorus EPS, their newest electronic groupset. The gruppo includes a new crankset design using a four spider arm that allows the installation of both standard and compact chainrings (ex. 53/39, 52/36, 50/34). Visit www.campagnolo.com for more details.